I am writing from the comforts of my home in the USA. 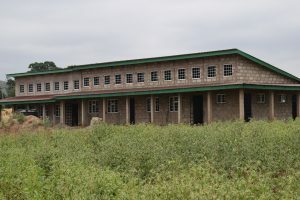 Over the past 2 months we have been busy raising money to finish our school building project. 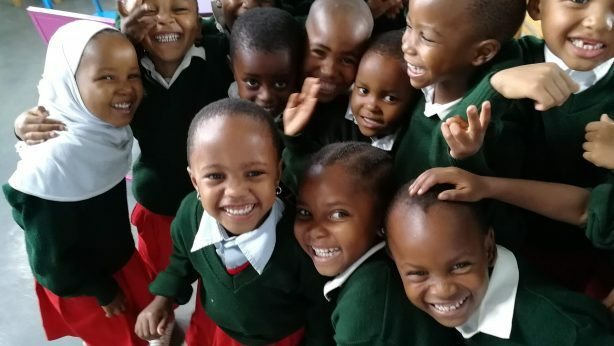 It was the hope that we could raise $27,000 to finish what we began and finally get proper registration from the ministry of education in Tanzania. I am proud to say that I think we got this…not by much, but we have been busy and with the help of many our building will be finished. We also hope to have our other plot of land sold in the upcoming weeks and that means another classroom, teacher offices and teacher toilets! My fingers are crossed that it happens and that we will officially be in our new school campus by January. Our books have been shipped! At the time of writing this they are in Antwerp, Belguim next stop Dar Es Salem and then onward to Arusha. We are grateful for the Prone Family Foundation for helping us with half of the cost and the remaining balance was raised in $1.00’s at many events by individuals like you reading this. We also made so many new friends, whether at a speaking engagement, New England Patriot or Concert event, a market selling our crafts or the PA Conference for Women, we have new friends! In addition to spreading the good news of our wonderful work, I have been helping one of our founding members in Tanzania with a safari company. We will have our own safari company and he will donate a percentage of the profits to our school. I have been working on the website and it should be live soon! Stay tuned for details! I have also been getting involved with the Quincy Rotary Club, helping them build their website and organizing the next million dollar meal, which will include a paint night…only everyone will paint a Christmas ornament! This will be a fund raiser for us as well as Rotary International. We have many individuals who have offered to help in one way or another. I also have to acknowledge the Kenneth Rainin Foundation for a discretionary grant they awarded us earlier this month. It is heartwarming to know that our volunteers are thinking of us long after we meet. Truly special!! I have one week left in the USA and I will be busy until I board my flight to Amsterdam and onward to Kilimanjaro. I will hit the ground running once landed and will work hard with our students and teachers, the Ministry of Education, Engineers, Health Commission our building contractors and board in Tanzania. I also hope to enroll another 75 children to the School of St. Nicholas, hire a grade 3 teacher and witness our books being delivered! Have you bee thinking of coming to Tanzania to visit and are not sure when to come? A very special opening ceremony will take place in early 2017…why not come then? Have you been part of this grassroots effort? Mark your calendars! I will know more when on the ground next week and see how the building completion is going, stay tuned. Thanks to everyone who makes this possible. You are our hero!